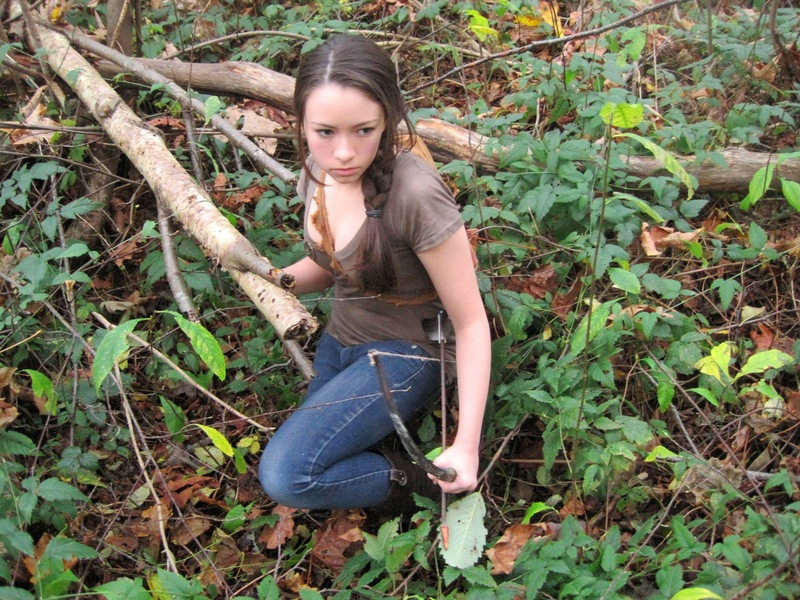 Jodelle as Katniss. It was her Halloween costume.. HD Wallpaper and background images in the Hunger Games club tagged: the hunger games katniss jodelle ferland. This Hunger Games photo might contain acajou, bambou commune, bambusa vulgaris, bambou commun, bouleau américain blanc, bouleau à papier, paperbark bouleau, canot bouleau, betula cordifolia, betula papyrifera, bouleau blanc américain, bouleau en papier, bouleau bouleau, bouleau canot, américain de bouleau blanc, bouleau paperbark, and canoë birch. She could totally be Katniss. Wow cool bow! Also is this girl famous or something I'm soooo confused! Or is this like someone who posted pictures of themselves?